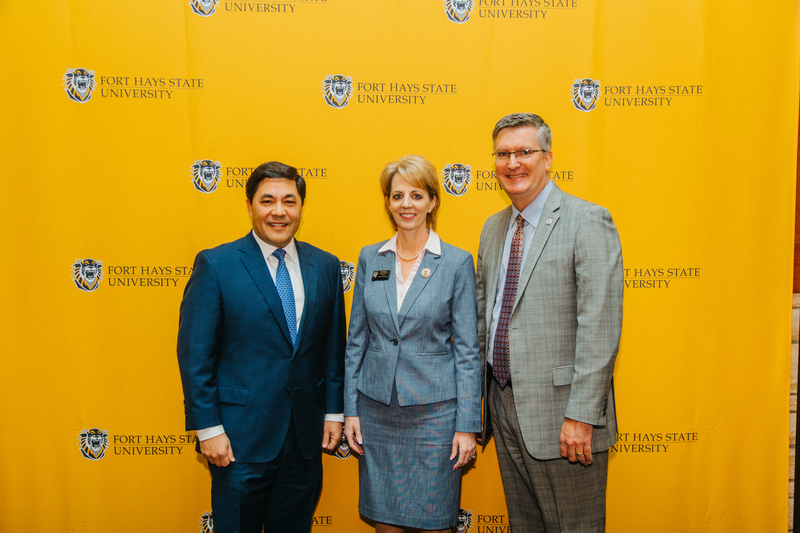 HAYS, Kan. – Kansas high school students choosing to attend Fort Hays State University will be among those eligible for a new scholarship program created by Wichita’s Rudd Foundation. Incoming full-time Kansas students who qualify for Pell Grants are eligible, with preference given to first-generation and underrepresented students. The Rudd Scholarship will cover any remaining costs after all other aid, grants, and scholarships are applied to a student’s account. Cost of attendance includes tuition, fees, books, supplies and room and board. “By removing financial barriers to a college education, chosen scholars are expected to achieve a high level of excellence on campus in preparing themselves to be leaders in their profession and in their communities after graduation,” the Rudd Foundation said in a news release announcing the scholarship. Resident Kansas high school students who choose to attend Wichita State University or Emporia State University are also eligible. FHSU’s participation was announced at a news conference today at the university. “The cost of higher education can be especially challenging for first-generation students,” said Dr. Tisa Mason, FHSU president, who was the first in her family to get a college education. “That makes gifts such as this one from the Rudd Foundation especially valuable, not only for the direct benefit to the students who will receive them, but for the message it sends about the importance of advanced education to create innovative leaders in business, education and citizenship,” she said. One goal of the Rudd Scholarship is to help Kansas minds stay in Kansas, said Peter Najera, president of the Rudd Foundation. “This scholarship program is firmly rooted in the Midwestern values of humility, grit, hard work and integrity that make Kansas and its people great,” he said. In addition to carrying a full load of classes towards their degree, scholars will also participate in many developmental activities outside the classroom, network with leaders in their future professions, build strong relationships among themselves, and serve to help the next generation of scholars through an active and connected alumni association after graduation. Students must apply online at www.ruddfoundation.org/college-scholarships. They can also learn more about the eligibility requirements and selection criteria. The deadline to apply is 11:59 p.m. Central time Sunday, March 11, 2018.